Sign up to participate in the Madrid Area Chamber of Commerce (MAC)-sponsored City-Wide Garage Sale by contacting the Madrid Register-News at 515-795-2730 by noon on April 26. Cost is $5. The 2019 sale will be held on May 4, 2019. Watch for a post after the 26th with the garage sale map. Join us at the banquet to celebrate! Tickets may be purchased from Suzi Lincoln at City State Bank and are $25 per person. Dinner will be provided. Dr. Brett Mathes from Global Wellness Chiropractic Clinic will share a special program about health. The Annual Madrid Area Chamber of Commerce (MAC) Banquet will be held on Friday, April 5, 2019, and the Volunteer of the Year will be honored. Nominate a volunteer for this honor by providing name and contact information to Don Lincoln at donlincoln@windstream.net or dropping off your recommendation at the Larson Agency by March 15 Make your reservation to attend by March 29 by contacting Suzi Lincoln at City State Bank. The event will be held at the Snus Hill Winery. Social hour will begin at 5:30 pm; dinner follows at 6:00 pm and will be provided by Whatcha Smokin?. It is evident that the High Trestle Trail is one of Madrid’s highlights; that said, it is important to make the trail accessible to everyone in the community. Trailside Rentals is a service that “gets people on the trail who might not be able to otherwise,” says owner, Dave Johnson. 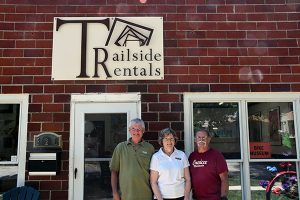 Trailside Rentals was opened by Dave Johnson and Becky Roorda in 2011, coinciding with the opening of the High Trestle Trail. Bikes have been a long-time hobby for Dave, and he offers full-service bike repair as well as rentals of bikes, recumbent trikes, tandem trikes, gravel bikes, kids bikes, tag-a-longs, and small child Burley trailers. They are open from late April through mid-October. In addition to the bike shop, a Guest House service is also available for people passing through town, whether for biking expeditions or otherwise. In addition to promoting the trail and enabling others to enjoy it, Trailside Rentals wants to promote traffic in Madrid. By encouraging use of the trail, the owners hope to stimulate interest in Madrid as a whole, thereby promoting other businesses. Walking into Trailside Rentals, customers are sure to see a large map, covered in pins, on the wall. Dave and Becky explain that each pin represents a person that has visited the shop to hit the trails. There’s hardly a location that isn’t emphasized by a pin. The best part about being a small business in Madrid, according to Becky, is meeting the variety of people that come to enjoy the trail. Jordan and Mahoney Law firm, P.C. is a family firm that was established in 1960, when Richard T. Jordan and Robert E. Mahoney merged their practices. The firm has three locations, and its office in Madrid began in 1981. 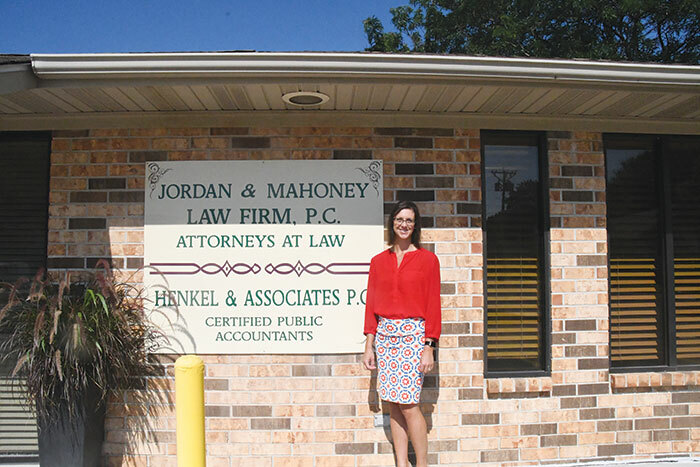 Jordan and Mahoney is a general practice firm. There are six available attorneys within the firm with a wide variety of practice areas. At the Madrid office, the services offered include divorce, business planning, estate planning, and real estate. The firm itself spans a number of other areas of practice. The firm is also concerned with community support, and is actively involved in local organizations such as Madrid High School After Prom, Madrid Labor Days, Madrid Action Committee, and others. Meredith Mahoney Nerem is one of the attorneys at the Madrid location. She has an all-encompassing family law practice with extensive trial and settlement experience. When asked what the benefits of being a small business in the Madrid community are, she explained that she enjoyed the “face to face, personal aspect.” She also noted, “We interact with our clients not only in business but, also, in the community.” In addition, Meredith appreciates the more relaxed feel. In addition to providing chiropractic to the community, Global Wellness also provides its services in sports medicine and by providing thorough sports physicals. 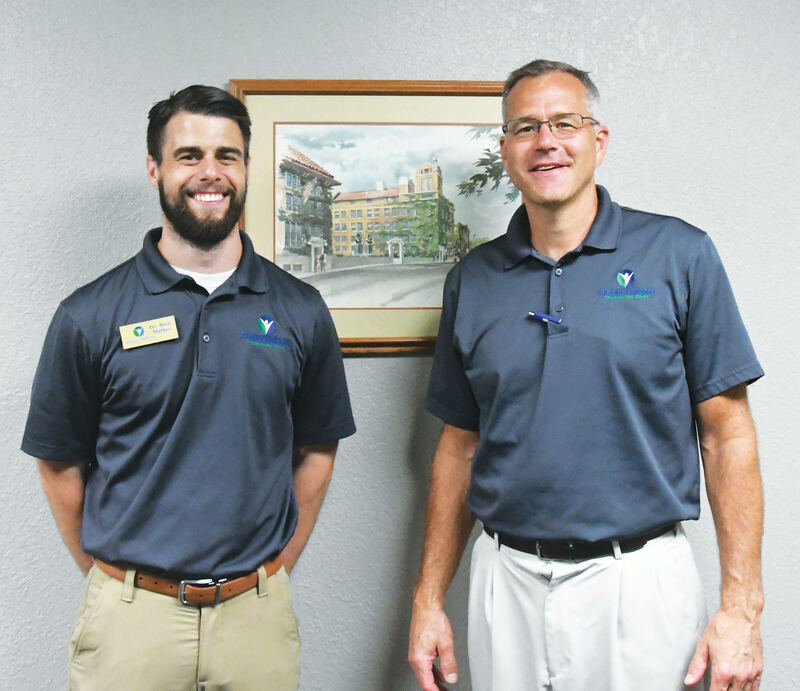 Dr. Paul L. Peters, who has been practicing chiropractic for over 28 years, emphasizes the clinic’s dedication to the principles of chiropractic and simultaneous pursuit of cutting edge innovation. 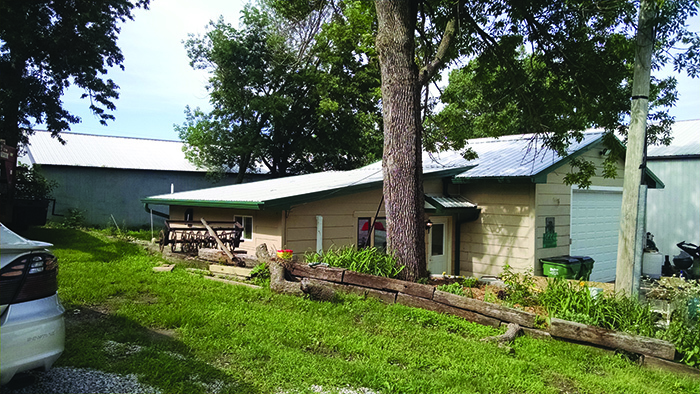 While sticking to its principles, the clinic has undergone some recent changes. The practice is expanding, and the clinic is always seeking ways to make care more affordable to the community. Dr. Brett was also welcomed on staff. Dr. Peters says that he loves the Madrid community, and he enjoys both living and operating a small business in it. He likes the unique position of Madrid “because we’re a small community with access to the bigger community.” He also expressed that he appreciates being close to other small businesses in town, and that he likes being able to welcome his clients by name. Those that have been familiar with the Madrid area for some time may wonder what has happened to the little grey house that once stood on Kennedy street. The answer: a business was born. About a year ago, Chad and Mary Carpenter began MAC Diversified Enterprises, which is a family owned welding and fabrication business. MAC Diversified Enterprises offers metal repairs and fabrication. A mobile service is also available, making things more convenient for the customer. In addition to the new business, the Carpenters run Blades Lawn Care, which has been in business for 12 years. Blades offers services in lawn care as well as in snow removal. The marriage of the two businesses enables employment year-round, not just when the grass is growing. 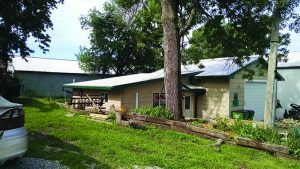 MAC Diversified Enterprises and Blades Lawn Care do more than offer their services to people in need of lawn care or welding services, though. Mary Carpenter explains that having a small local business means providing opportunities to locals, such as high schoolers looking for a part-time and summer job. The best part about being a small business, Mary says, is “the personal relationship and the way that the business people in Madrid help each other out.” She went on to say that being a small business owner is “exhausting, but very rewarding,” and notes that those who work for their business, especially kids experiencing their first job, gain a good work ethic. While these businesses offer very tangible services, the benefits they provide go beyond that. They create opportunities for the local community. 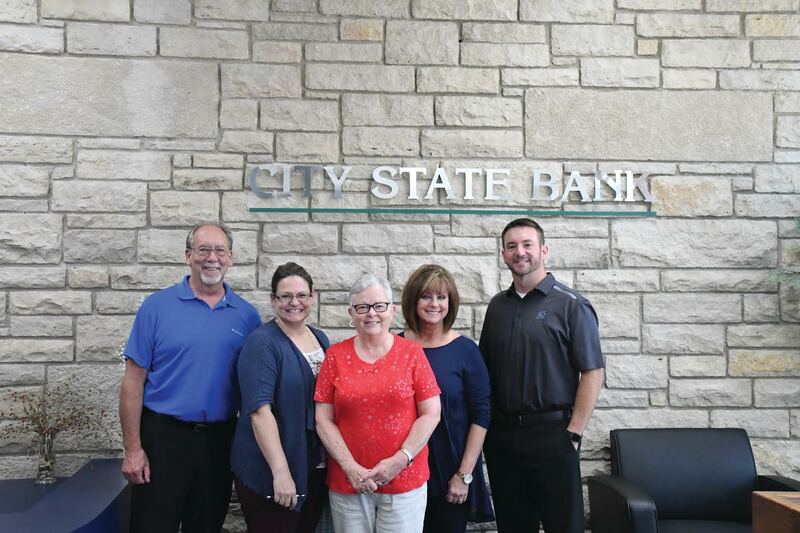 City State Bank is a family-owned business that has been a part of the Madrid community since 1934. It is a full service bank, which means it provides everything from commercial loans and home loans to checking and savings services. 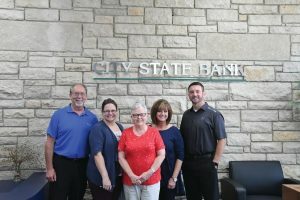 Including its Madrid location, City State Bank is located in seven different places in the Des Moines metro. The best part about being a small business in Madrid, he explains, is “getting to know each customer on a personal level. You’re not just a number.” Suzi Lincoln, who is a Relationship Officer for the bank, says that she appreciates the “family atmosphere” and the “long-lasting relationships” built through this business, as it exists in the Madrid community. The 2018 sale will be held on May 5, 2018. The 2018 garage sale map is now available! The map is available thanks to Wilcox Printing and Publishing, and the Madrid City-Wide Garage Sale is sponsored by the Madrid Area Chamber of Commerce (MAC).